When we built our second house almost 8 years ago, we did not have much time to prepare and design every room according to how we like it to be. Over the past years, we were trying to introduce improvements to the house and just use our imagination and sheer creativity to make the most out of it. We have done minor changes, make overs and the likes but there is one project that has always been left behind and that is the construction of an additional bathroom. A bathroom is one of the busiest rooms in the house, thus I am thinking of a bathroom design that is complete with all the basic amenities, clean, simple but elegant. There are lots of modern equipment that were already introduced in the market and all what we need to do is just to choose one that best suits our requirements. 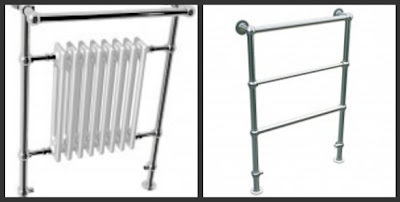 A heated towel rail is one example. Modern bathroom designs now often consider this as an essential piece because of it's functionality, not to mention it's accentuating effect. How do you like the idea of having your towels always warm and bacteria free? 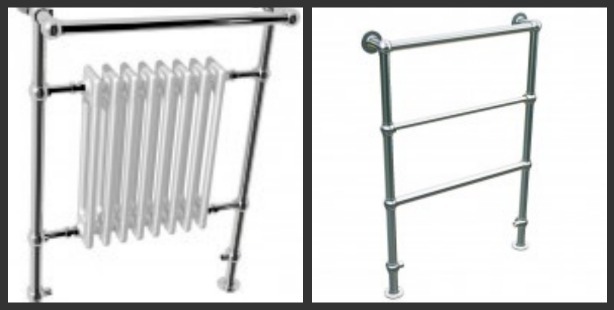 You can always choose a design that perfectly fits your bathroom. The overall theme and bathroom size are some of the things to be considered. As for me, these are the designs that I would like to have if I would have the chance to purchase one for my future project. I think there are more available designs to choose from ranging from the simple and traditional to the most sophisticated. The use of durable and high quality materials in building our bathrooms is another important consideration. A bathroom is the most used space in the house so the quality of the materials to be used in the construction cannot be compromised. Wet room kits can be ordered online and saves you time and effort as these wet room kits complete packages are already matched for compatibility ensuring quality and low cost purchase. Each kit normally comes with detailed instructions thus, making the whole installation process fast and accurate. Building our dream bathroom need not necessarily be a painful task. All that is required is an appropriate budget, proper planning and careful choice of materials. Before you knew it, you are already set to start building your dream bathroom. @ Rovie, sige Rovs hihintayin ko yung day na yun. hahaha! Wow, may meet up pala kayo ni Gene!